The Centers for Medicare and Medicaid Services (CMS) has released the 2019 Medicare DMEPOS fee schedule which will be effective for Medicare claims with a date of service on or after January 1, 2019. The 2018 Medicare fee schedule for orthotic and prosthetic services will be increased by 2.3% over 2018 rates. The 2.3% increase is a net reflection of the 2.9% increase in the Consumer Pricing Index for Urban Areas (CPI-U) from June 2017 through June 2018, combined with the annual Multi-Factor Productivity Adjustment (MFP) of -0.6%. The 2.3% increase in the O&P Medicare fee schedule for 2019 represents a 1.2% larger amount than the 2018 increase of 1.1%. Unfortunately, the 2% sequestration-based reduction to all Medicare payments remains in effect meaning that Medicare fee for service payments will continue to be reduced by 2% due to sequestration. While sequestration continues to impact Medicare reimbursement, it is not cumulative. You will still receive 2.3% more for a service you provide in 2019 then you did in 2018 since the 2% sequestration reduction would be applied to both claims. Click here to view and download the complete 2019 Medicare DMEPOS fee schedule*. *The Centers for Medicare and Medicaid Services (CMS) released the April 2019 Quarterly DMEPOS Fee Schedule Update. The new fee schedule now contains a fee for L0623. Miscellaneous HCPCS codes billed without this information will be denied for incomplete and invalid information and will need to be resubmitted with the missing information included.Miscellaneous coded products that have a specific HCPCS code must not be billed with a miscellaneous HCPCS code for that item. Inappropriate billing of miscellaneous HCPCS codes can result in a claim return/reject or denial of the HCPCS code for invalid coding. Here is a quick look at some of the results for items currently under TPE review in each of the four DME MAC Jurisdictions. 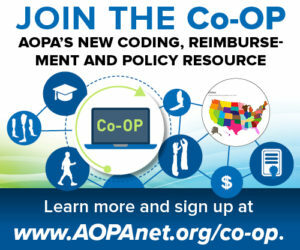 AFO/KAFO: For codes L1970, L4360 and L4361 the improper payment rate was 48%. AFO/KAFO: For codes L4360, L4361, L4386 and L4387 the improper payment rate was 34%.